Responsible for purchasing new music, loading the music on to the station’s database and assisting in the maintenance of the music output systems. The music manager will work closely with the presenting team to shape the database for their individual needs and assist them loading their own music on to the database. This will involve regular visits to the RRUK and will initially require a commitment of around 8 hours a week on a flexible basis. You will need a good knowledge of all music genre and technical computing skills. Training on the studio software – Competa and Audacity – will be available. Responsible for managing the rota of presenters and shows. This is essentially an organisation and people management role as you will be compiling the monthly schedule of shows and ensuring each individual from the team of presenters is in the right place at the right time. You will also be in contact with the Media Co-Ordinator so news of “What’s On When” is sent out to existing and potential listeners on a regular basis. This role will require the skills of organisation, diplomacy and sometimes, persuasion. Some visits to the studios will be necessary but most of the role can be conducted from home via telephone and email. In this role you will assist the Media Manager with output on Twitter, Facebook and our website, arranging regular updates and daily output on Twitter. Knowledge of Facebook and Twitter are thus essential and some understanding of website design and maintenance will also be required. The station is growing and the Media Co-Ordinator will need to respond quickly to news as it emerges. Some longer-term planning of media campaigns and output will also be part of the role as will be keeping our website lively and contemporary. Occasional visits to the studios will be desirable but most of this role will be conducted from home using social media and telephone. 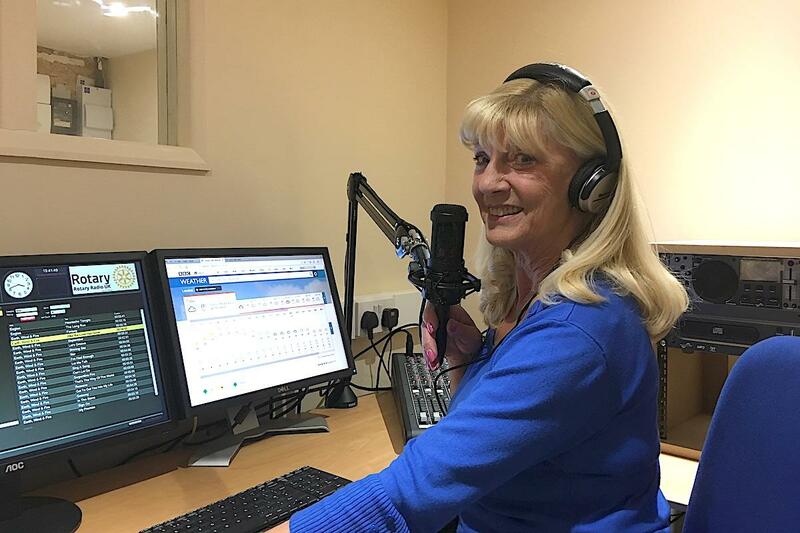 We are looking to recruit a number of people in different parts of the UK to gather Rotary news, compile concise reports for broadcasting both “on-air” and via social media and to work with the Media Manager to produce monthly and weekly news bulletins. Each will be in frequent contact with clubs and Rotarians in their area to encourage them to produce items of interest. Some experience of working in this type of environment is highly desirable. Team members will work from home and communicate by personal visit, telephone and social media. Keeping the station “on the air” 24 hours and day and 365 days a year is a full-time occupation and we are looking for people with technical and computing skills to assist the Studio Manager with this responsibility. Knowledge of broadcasting equipment and software is desirable but training can be given. What is essential is a willingness and ability to take responsibility for the technical side of the station on a rota basis and respond to emergency situations if required. The role will involve some visits to the studio but most of the operating equipment and software can be accessed remotely. “Out of Hours” studio visits should not be necessary. by post to our Rotary Radio UK Studios at Blue Town Heritage Centre, 69 High Street, Blue Town, Sheerness, Kent, ME12 1RW. Initial conversations will be carried out by telephone.